Samantha is currently a paralegal of this firm. 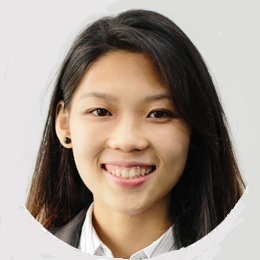 She has joined Chia, Lee & Associates since August 2018. As a paralegal in this firm, she assisted in an array matters such as banking and conveyancing, contentious and non-contentious probate as well as employment advisory. She holds a Bachelor of Laws (LL.B) degree, University of London (External) in the year 2017 with Second Class Honours (Upper Division). She has subsequently completed the Certificate of Legal Practice (CLP) in year 2018. Prior to joining Chia, Lee & Associates as a paralegal, she was a Legal Adviser in a boutique intellectual property firm, “Tee Intellectual Property”. As a legal adviser, she has assisted clients in resolving their intellectual property issues by providing timely advice.